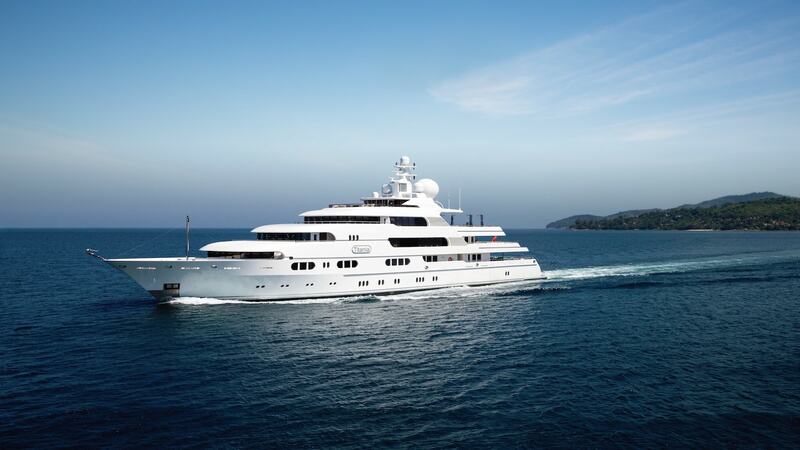 Titania is a magnificent pedigree yacht that was delivered by Lürssen in 2006 and was extensively refitted in 2018. The yacht stands out for her large interior and exterior entertainment areas, her luxurious staterooms and her countless amenities. She has a crew of 20 on board and is the perfect yacht for families and large groups. Titania boasts a beautiful, elegant interior, designed by François Zuretti; warm woods and sumptuous fabrics create a feeling of luxury and style throughout, while the yacht’s floor to ceiling windows allow for plenty of natural light. She can accommodate up to twelve guests in seven luxurious staterooms, including two master suites, a VIP cabin, and four doubles. An elevator runs from the lower deck to the sundeck. Outdoors, she features particularly large deck spaces ideal for relaxation and entertaining, as well as amenities including a gym, spa and large pool with swim-up bar. Find more about Yacht Rentals here!